Experts Exchange > Articles > MVP: Unfolding the Roadmap to Success for your Startup! CTO at Alphalogic, passionate about technology, startups, the game of thrones and coffee. Apart from their somewhat-Romantic expectations and fantasies, what do all Startups seem to have in common? Dream, Ambition, Vision, and Confidence, in their idea, and their envisioned product. On the other hand, what do the most startups that tend to fail have in common? Overconfidence, in themselves, in their imperfect understanding, in their untested product. Most startups fail because they realize, only too late, that no-one wants their product. At least that’s what an info-graphic by Forbes said. Seems impossible, doesn’t it? Your idea’s great, product should be revolutionary, yet no one would want it? How on Earth could that happen? Well, sorry to be the bearer of bad news, but it tends to happen all the time! People are unpredictable, even they don’t know what they want! Hence the importance of the stage before development, when you contemplate what your product will be, couldn’t be emphasized enough. Before you spend time, effort, and money into your idea, you need to know that your idea has value, that people would place value on your product. And relying solely on your gut and instinct for that is basically setting yourself up for failure! You need a more concrete and reliable proof for your beliefs. Here’s where the MVP comes in. It should be the next direction in any logical or rational route to success. Minimum Viable Product (MVP) enables a budding entrepreneur to confirm his beliefs and ideas. It’s more of a process than a product, really. It’s a process of learning: about your market, your product, your values. That should be your focus at this stage: learning! An MVP is that version of a new product which allows a team to collect the maximum amount of validated learning about customers with the least amount of effort. Now let’s break that down, shall we? When you had that unique idea, to begin with, you must’ve had a vision of what you are building, but maybe not so much about why. Further, you might also be lacking in having a sustainable-business vision around it. You might be trying to answer the question “Can this product be built?” when you still haven’t figured out if it should be built at all. What’s its purpose going to be? This brings me back to the topic of value. Your core assumptions that try to give purpose to your product add up to create a value hypothesis for your product. Surely, as a visionary, you must at least have a vague idea about the potential value of your product (teaser: it’s a little more than just the solution to the problem you’re trying to solve), but the MVP tries to explicitly identify and test it. 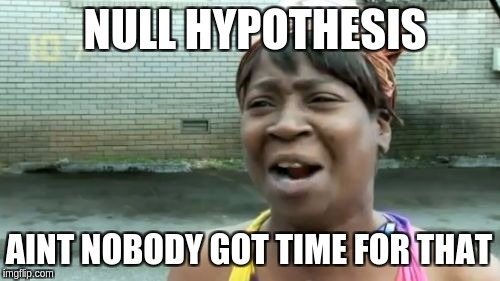 Your Value Hypothesis should typically include your proposed answers to, firstly the question “Is this problem worth solving?“, and secondly, if your proposed solution is worth pursuing. The second part can again be answered by looking at two things: first, the alternatives already present; how is your solution different from those alternatives? And second, the market viability; can you build a sustainable business around your proposed solution? 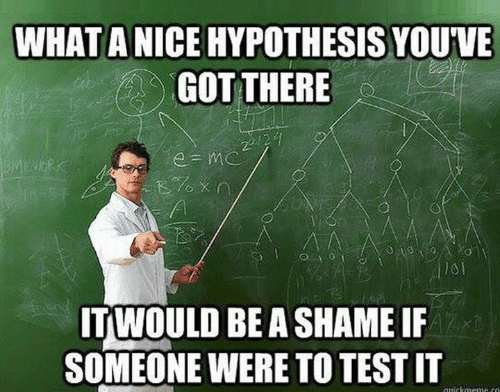 Think of the process in terms of science; You propose a hypothesis, then you design an experiment to test that hypothesis. The MVP is your experiment! Furthermore, it’s the smallest experiment (i.e. one with the least amount of effort) possible to test your hypothesis and learn from it. As in Science, learning is the crucial bit here. Unfortunately, not all forms of learning are useful; customers often say one thing, but end up doing another. So from our experiment, we are looking for Validated Learning: it focuses more on looking for changes in customer behavior, and less on what they say or feel. To that end, the MVP should be able to measure that user behavior, for instance, through conversion rates, number of subscribers, their interest in buying it, etc. Hence, at times, an MVP could be a simple landing page detailing your envisioned product, that gauges user interest and allows them to sign up. Again, just like Science, it might be more helpful to falsify an alternate (null) hypothesis; viz. How can you know for certain and as soon as possible that your envisioned product would fail? Or, how can you find out asap that your product is no good, that there’s no customer for it? For instance, if your MVP (say in the form of a landing page) completely failed to generate user interest, had zero conversion rate, then you should realize you’re not on the right track! If you manage to conduct an “experiment” where you could test the market viability for your product, where users actively chose your product, you would learn valuable information about your product and your users. This experiment (even though designed mainly to test your value assumptions) was more than just a theoretical inquiry; it was your first product: it was the first time your users got the feel of it and responded to it. If your experiment is successful, you could start working on building your fully functioning product, incorporating any changes learned previously. On the other hand, if your experiment produced less-than-desired results, don’t fret! It’s not the end of your idea! You need to make some changes: pivot from it, add or remove some features, change your target market, tweak its design, blend it with some other idea, etc. Then, conduct the experiment again with the new product until you get the desired response. Once your MVP is established (your experiment was successful), you can start working on designing and tuning your engine; this would again involve a series of experiments designed to learn more. 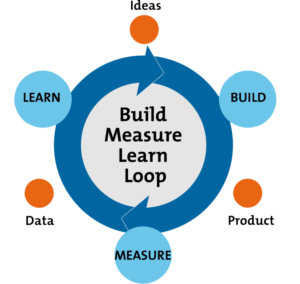 It’s the build-measure-learn loop that follows until you are ready for alpha and beta testing. Thanks to the learning stage, by the time the product is ready to be distributed widely, it’ll boast established customers already. For them, it would have solved very real problems. That is a tough question to answer actually because it depends! Not just on your product type, but everything related to it, including but not limited to: the market size, market type, types of customers, focus groups, the problem you’re trying to solve, the types of substitutes present, the method of distribution. It must involve code, in some capacity. It should focus on, and be able to reach the target market. It should, in some capacity, be able to measure user behavior. It should focus on testing User Behavior, not just their opinions. It should be able to validate users’ willingness to buy your product. It should be able to convince your target market, in some capacity, of your product’s potential value. It may not be able to answer all your questions but should allow you to ask more intelligent questions. These two lists also try to imply: there isn’t a full-proof, comprehensive and universal plan which you could follow in order to build a flawless MVP. What I can provide you with, however, are the principles your MVP should be based upon! The execution and application of these principles would depend on various factors, so that is for you to ponder upon! I can tell you what your MVP should be able to measure, but figuring out what to build in order to measure that appropriately is your endeavor. Just think about what you need to build in order to give users a feel (a superficial one will do at this stage) of it, to convince them of its value, and measure their interest in it. Hence, a simple Landing page might do the trick sometimes, otherwise, something more complicated may be required. Let’s look at a few examples of successful companies who gained valuable feedback through their MVP. It’s remarkable how fast Dropbox expanded, from its meager Startup roots in 2007 to the multi-billion dollar firm it is today. Back in 2006, many cloud storage platforms already existed, so Dropbox entered quite late. Despite that, it astonishingly managed to secure a firm lead in the market. How? Well, various factors had a role in its success, but one would be remiss not to give its MVP the well-earned credit. Reflecting on Dropbox, its founder Drew Houston said that building a bulletproof, scalable, cross-platform cloud storage architecture is hard. So, he was conflicted between choosing to launch early (with hardly any features) to learn quickly, and, launching when his fully functional product was ready with all its best features (which would take months or years). 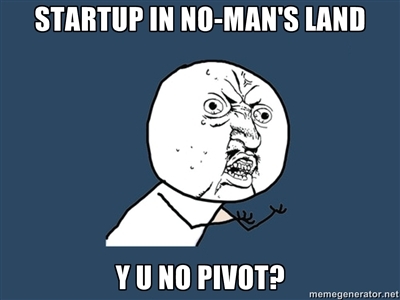 Then somehow, he re-framed the “when-to-launch” question to focus on trying to learn about his target audience asap. Although he had written code basic enough for his own personal use, he realized that there was absolutely no way he could put working code in other people’s hands in 2 or 3 months. However, he did have a functional product that worked well enough for him personally. 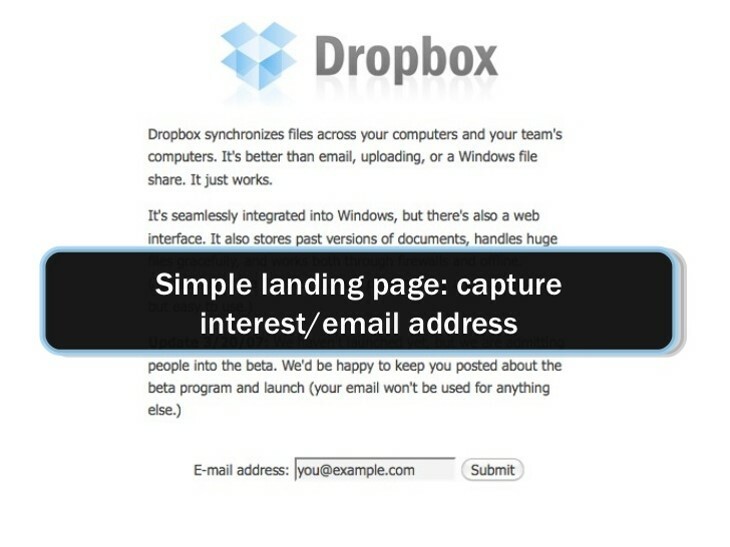 So, he had an idea: to show the working product in its best light through a screencast (or a short video), demonstrating the idea and experience of Dropbox across to his potential users. That’s exactly what his MVP was: a 3-minute video uploaded on Hacker News, that demonstrated his product’s abilities through a video screencast along with a voice walk-through; additionally, he created a landing page that described exactly what Dropbox will do and a field that allowed interested people to subscribe. Over the course of one night, he had gained more than 75,000 subscribers. Over the next few days and weeks, he got high quality and immediate feedback; had he put the working code in customers’ hands (which would have taken months), he would have received the same exact feedback, slowing down his learning stage substantially. The key thing to remember here is that a Video and a Landing Page worked for Dropbox, but it may not necessarily work for you. 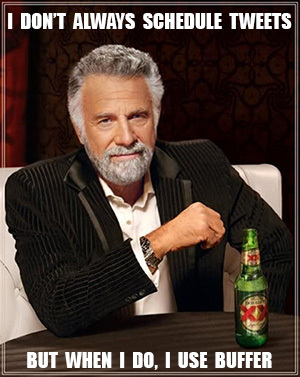 So, you must not mistake Dropbox’s method as your A-to-Z guide. Instead, focus on understanding why it worked so well for them, and use those principles instead while building your MVP. Houston reflected that he was making a product for himself primarily, so by extension, also for people like him (i.e. tech geeks, early adopters of new software). So, he had the added benefit of knowing the target audience quite well; he knew what websites and forums (Hacker News for instance) they visit and what tickles their fancy, so he used these to communicate his idea in an authentic manner. To sum up, his MVP worked because he succeeded in reaching and communicating with his target customers. Because his early customers were the visionary ones (like him), they were able to visualize the product even without the code in their hands! This enabled him to get valuable feedback immediately without spending months building the product for them. The founder of Buffer, Joel Gascoigne, in his account of building Buffer, recalled how it all started with his idea of building something capable of queuing tweets up without having to schedule each one individually. However, he had no idea if people would even consider using his product. He didn’t want to spend months building an App, only to realize after launching that no-one wants it. He needed to first test if his product would be viable. This is where the MVP enters; after pondering for quite some time, Gascoigne realized that in order to test whether people would even consider using his app, he only needed to build one thing: a website along with a landing page! So, he launched Buffer as a 2-page Landing Page. This page allowed people to view its functionalities, benefits, and features; but, more importantly, it had fields and options to subscribe & provide feedback, which allowed him to measure user behavior and gain validated and valuable feedback. Next, he wanted to validate whether people would be comfortable paying for his app. He simply validated that by adding one more page and a buy-button to his website! This further lets him test his app’s potential price and its potential demand. After confirming his beliefs and receiving further validation, he started working on his first version of the real, functioning product. The key thing to remember here too is that Gascoigne’s MVP worked because he could communicate his envisioned product well and because he could collect the required information, and learn from it. To conclude this rather long (but I hope useful and not-boring) post, I would like to emphasize MVP’s importance as a process of learning: about your beliefs, the market, the customers. How you communicate it is vital too; it can sometimes be the sole determiner of your success. Anything less than ideal would be amiss; even if your Product is viable, miscommunication would hinder customers from realizing its value. Once you’ve validated your idea, you can move towards building a business around it; that’s another long road in your firm’s roadmap. But more on that, later!